The water is one of the best environments to train body awareness. In water, you have the freedom to move in a non-weight bearing manner. In water, you don't pay for your mistakes. You can push the limits with confidence. Combine this with qualities such as balance, coordination, mobility, strength and speed and you have a recipe for success. Lily is a young gymnast. When she came to me she was already a great mover. I scratched my head wondering: how can we make an already great mover even better? Her dedication to and enjoyment of her training in the water helped her get to the next level. I was astonished to see how much she improved and how quickly it all happened. That year Lily became a state champion in gymnastics. What a pleasure it was to see all of this unfold. Great work Lily! 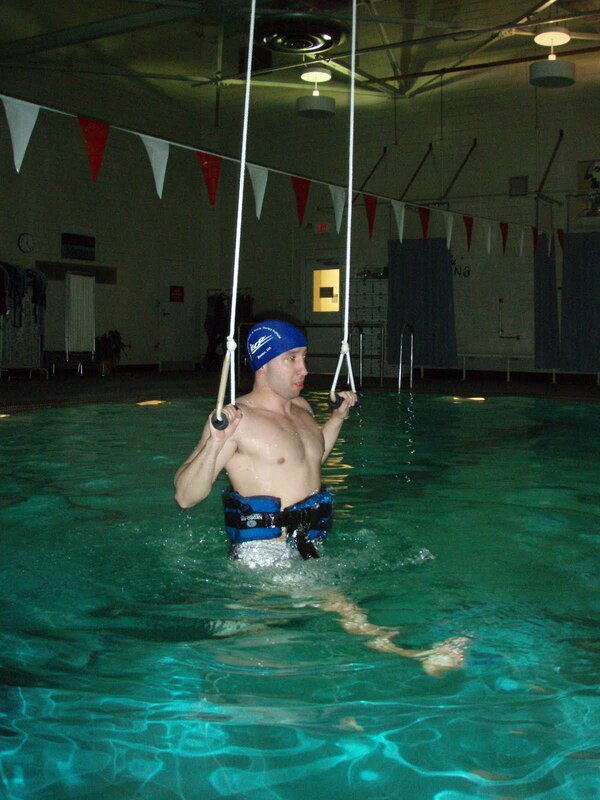 Here are a few examples of aquatic exercises that promote spinal traction and joint offload. Spinal traction can be essential for high impact athletes and their recovery. In gymnastics, the body must withstand repetitive hard landings, often times resulting in a fall. The same holds true for downhill ski racers that withstand tremendous G-forces that compress the spine, sometimes resulting in crashes as well. 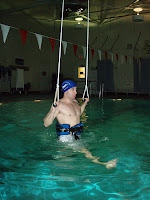 Water exercise is a fantastic strategy for "offloading" the body after high impact activity. For more information and to sign up, contact Coach Kruse at kruseelite@gmail.com. A fun example of how dynamic deep water conditioning can be! Congratulations to our new, Part 1 Certified Instructors of the Burdenko Method. Thank you all for your time and commitment. The way you see fitness and rehabilitation is about to change forever! The Unique Effects Of Water! All of this with no side effects! Smerlas - New Balance Hot Shot of the week! KRUSE | ELITE. Simple theme. Powered by Blogger.